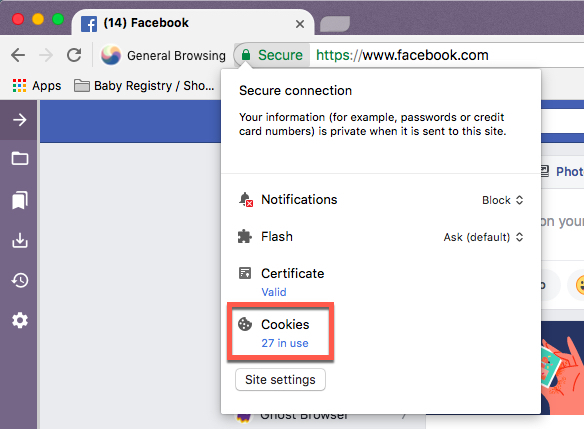 Ghost Browser uniquely offers the ability to clear the cookies for an individual Session or the entire browser. For instructions on how to do that please read this support article. If you want to delete a single cookie from a specific website, please see the below instructions. Go to the web page for which you would like to delete the cookie. Click the "Secure" text just to the left of the website URL in the address bar and under Cookies click "# in use", as seen in the screenshot below. 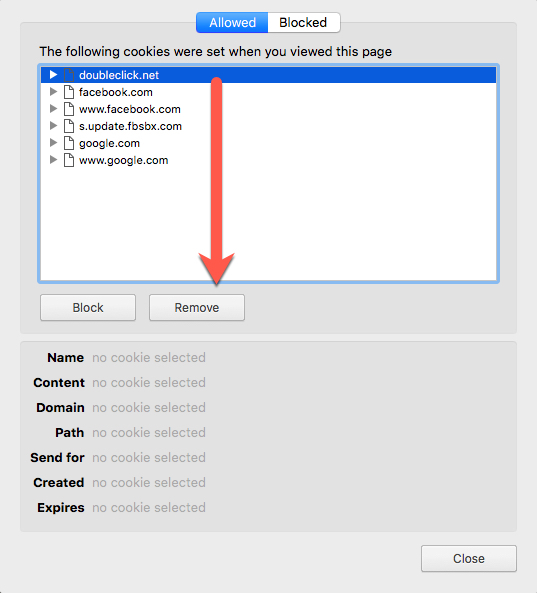 As seen in the screenshot below, in the menu that appears click on the specific cookie that you want to delete and click Remove. When you're finished click Close. Refresh the tab of the website for which you just cleared the cookies.